How L.A.’s big Broad opening might affect San Diego, South Park’s new Target puts local artists on display and more in our weekly culture roundup. Must these byproducts of the electronic age stand out like an urban acne in the public realm? The short answer is yes. Urban planners and architects are virtually powerless to rein in utility boxes. Utility companies don’t even need building permits to install them. Business improvement districts and other neighborhood associations have learned to live with the ugly green pimples that started popping up on city sidewalks when telephone and electric lines came down. They enroll the help of local artists to pretty them up. These ongoing efforts to cover the boxes with art, though, have ebbed and flowed over the years, leaving many neighborhoods with faded old imagery everywhere. But one determined art-supply shop owner in North Park has a zeal for quickly getting new mini murals up on utility boxes. He started in his own neighborhood and recently expanded, leading his growing army of artists to City Heights and, soon, Normal Heights, where they’ll liven up the old art with new art. 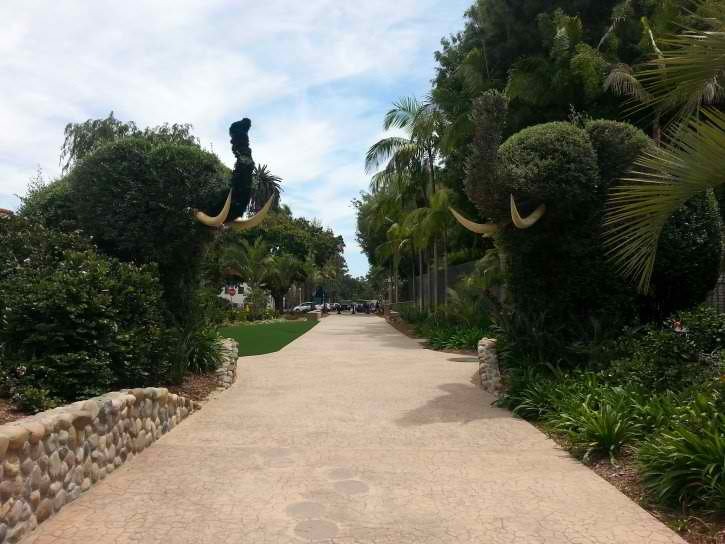 Jason Gould said there’s no end in sight for his DIY public art project. “Until someone tells me, ‘no, stop doing it,’ then I’m going to keep doing it,” he told me. 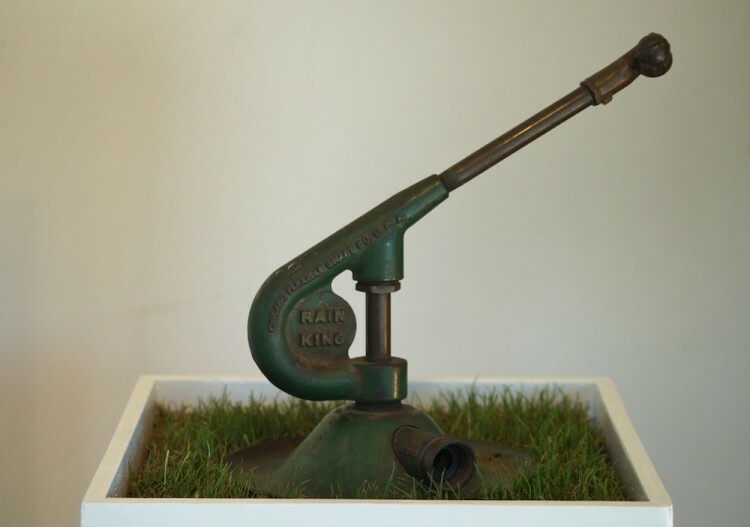 The blustery weather couldn’t be a more perfect backdrop for “Rainmaker,” a group exhibition opening at the Central Public Library from noon to 2 p.m. Saturday. Curator Susan Myrland zeroed in on a quirky bit of local history for the show — the 1915 San Diego City Council decision to hire “rainmaker” Charles Hatfield to fill a local reservoir. Myrland used the mysterious, so-called “Hatfield’s Flood” as the jumping-off point for the show and included water-related works by a dozen artists, including Adam Belt, Roman de Salvo, Michael Field, Margaret Noble, Scott Polach, Eva Struble, Jim Wilsterman and others. Noble, a sound and installation artist, created an interactive piece that lets audiences see the grass and sprinklers as they hear the water, but the water itself is missing. There’s a Hatfield display in the special collections section of the Central Library, so a few of Hatfield’s actual scales and measuring tools will be on display at the show. The tools were donated to the library by Hatfield’s brother, Paul, whose descendants will be at the reception. The show’s on view through Nov. 29. The Los Angeles Times is hitting the opening of the Broad from every angle. Eli and Edythe Broad’s new contemporary art museum opens Sunday in downtown Los Angeles. While the international art world is all atwitter with the news of the no-admission art center, I wondered whether anyone in San Diego’s art scene was thinking about the possible ripple effects. I posted the question on Facebook, and while many folks said there’d be no impact at all, I did get some interesting feedback. I also posted the letter to Eli Broad written by the anonymous feminist group Guerrilla Girls, who point out how overwhelmingly white and male the artists are in the Broad collection. The ensuing argument is still playing out on my page. What do you think? Shoot me an email and tell me how the art world, especially locally, is doing in terms of equality and diversity these days. • The Athenaeum’s School of the Arts has moved to Logan Heights. Athenaeum executive director Erika Torri wrote in a newsletter that the new location inside Bread & Salt will be different than past iterations of the school. “We are embarking on a new endeavor: founding a small Athenaeum ‘branch,'” she said. Details on the new location will be announced at a yet-to-be-scheduled grand opening. 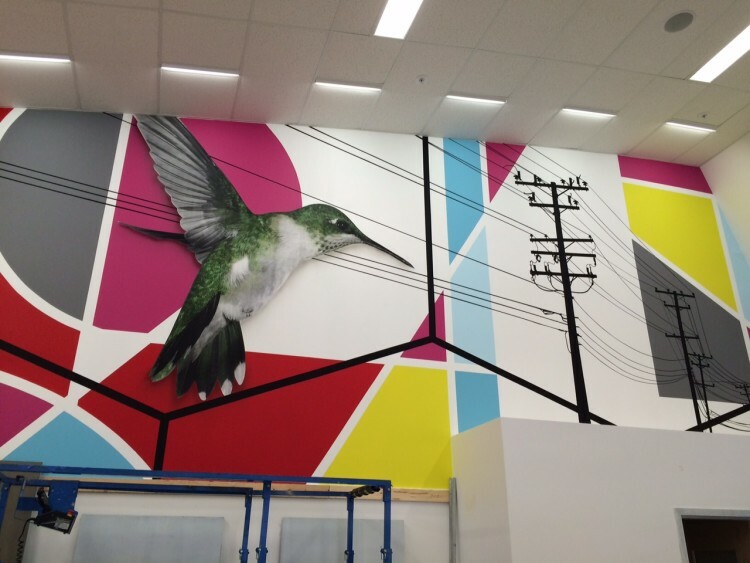 • There’s a big new mural inside the TargetExpress store opening in South Park. Kreashun, the name artists Monty Montgomery and Jason Feather use when they work together, shared a preview of the piece with me. Feather told me their goal with the mural was to incorporate “special nuances that local South Park residence would notice and appreciate, from an image of the original street car that ran through the area to the local tree-scape.” It remains to be seen whether the local art will help woo the South Park community into being more receptive to the big-box store moving in. • Park(ing) Day is a bigger deal in other cities. Here in San Diego, only a few nonprofits and other groups celebrate the placemaking event that asks people to take over metered parking spots and turn them into temporary urban pop-up parks for the day. The Downtown San Diego Partnership sent out a list of this year’s participants building tiny parks on Friday. There’s also a map last-minute Park(ing) Day entrants can use to add their location. • There’s a big-time Hollywood-related art exhibition showing at Southwestern College Art Gallery. KPBS interviews portrait artist Don Bachardy, who’s painted portraits of Hollywood stars like Jack Nicholson and Robert Altman. • Whether the weather in San Diego changes in time or not, this time of year local publications put together their fall-arts preview packages, which include their picks of the most exciting arts and culture events happening in San Diego from now through the end of the year. CityBeat’s fall arts preview includes a dance performance with a robot, a look at the huge lineup in La Jolla Playhouse’s Without Walls, or WoW, Festival and more. San Diego Magazine’s fall arts preview is a rundown of dozens of cultural events to add to your calendar. • Graffiti artist Neko joined Christopher Konecki in painting that huge mural I told you about in the Culture Report two weeks ago. By the way, Konecki told me he finally had a chance to do some research and he does feel comfortable calling the new mural covering the entire 707 Broadway Garage the largest in the entire city. • Sept. 16 is #askacurator day. The Museum of Contemporary Art San Diego and other local arts organizations are participating, so start preparing your insightful questions now. • We’re getting excited about the return of Meeting of the Minds. We’re tapping into the spirit of discovery and featuring five fast-paced talks by some of San Diego’s most ambitious intellectual explorers. We’ve got Alexis Miller, chief conservator of paintings at the Balboa Art Conservation Center, talking about using X-rays to examine artists’ original intent, a duo from the Center for Bioinspiration at the San Diego Zoo discussing their animal-inspired innovations and more. • “Made in America: Craft Icons of the 50 States” opens at the Mingei International Museum in Balboa Park on Saturday. This video helps explain how the exhibition’s curator, Mingei executive director Rob Sidner, picked two objects meant to represent the cultural history and significance of each of the 50 states. • Kaaboo Del Mar is set to take over the fairgrounds this weekend with their first run at a music festival featuring the likes of No Doubt and The Killers. • A makeshift art gallery honoring the art of Chicano Park is popping up in the City Administration Building Lobby this week. • SPF15, a pop-up gallery project that stages contemporary art exhibitions on local public beaches, is setting up on Coronado Beach Sunday. The show will feature custom-made cookies and a funny take on flyer design. Correction: An earlier version of this post misstated the date of Park(ing) Day. It’s taking place Friday.